This episode features Michelle Serna, the organizer of TEDxSalinas. 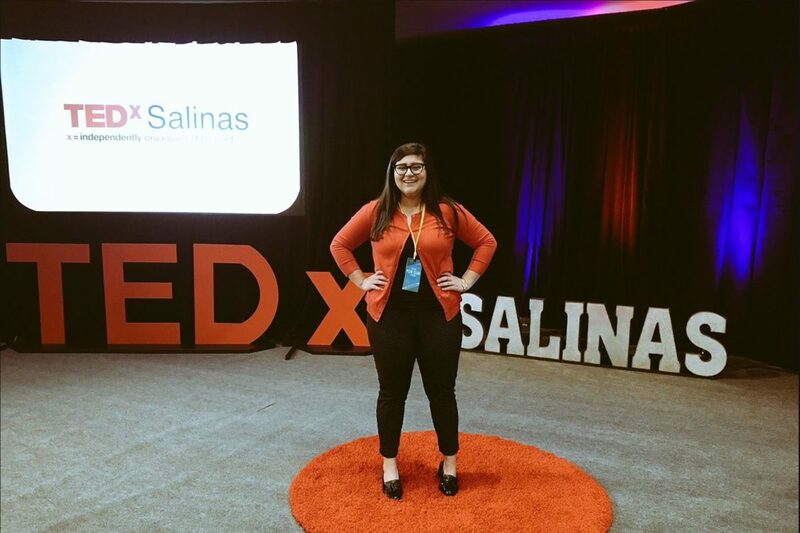 Her passion for her hometown is evident in how she’s approached TEDxSalinas. She gave her first TEDx talk at 16, her second at 17 and executive produced her first TEDx at 18. Slacker. On June 9th she graduated from high school and left the ceremony early to catch a plane to TEDxDonauinsel in Austria, where she spoke. She decided to stay for a month, solo and attended 2 TEDx events (Greece and London) based on people she met. I love her wanderlust spirit. You will too. Michelle is in love with her hometown and thinks that there’s a significant opportunity to feature TEDx talks about agriculture. She told me that Salinas grows a lot of the world’s food, and 30% of the world’s lettuce. Maybe her TEDx will provide 50% of the world’s ideas about agriculture. Tell us a bit about your background and your TEDx origin story.When she was 16, she spoke at TEDxSanFrancisco, where she still maintains a great relationship with their Executive Producer. She’s been watching TED talks since grammar school. The Monterey area, the original home of TED, adopted TED talks in their education system very early. TEDxSalinas was over just a couple months before we had this conversation and she’s still basking in the glow. She’s been to TEDxSanFrancisco, a TEDx in Greece and one in London. It’s 100% agriculture focused. Michelle feels that there’s no platform for ideas from the ag community and sees this as an opportunity. This TEDx event is 100% run by students. Organizing. In Michelle’s words, she’s assertive. When I talked to her, I would say this is spot-on. She’s very certain. She thinks that it’s interesting that so many people have been impacted by TED talks, but very few know the TED story. She does because she grew up with it. This is surprising to her. Have fun with it. Aim for authenticity. And don’t forget Time Management. Don’t wait until the last minute. Start as soon as you get your license approved. She’s going big. 2,400 people. The theme is From Silicon to Salinas: Connecting the two valleys – Agriculture to Technology. She’s looking forward to developing her role as a Speaker Coach, and now that she’s in college, is hoping that turns into a career that will fuel her TED addiction. Always step into a room with the most positive energy you can imagine. Then, always say, “Yes I can.” Then, stick to your word.